Whether racing a sailboat on the open water or tackling a problem set in class at the Harvard John A. Paulson School of Engineering and Applied Sciences, computer science concentrator Juan Perdomo approaches challenges with gusto. What led you to choose a computer science concentration? Before coming to Harvard, I had never really coded or done any computer science work. I had an interest in the technology, but what really opened my eyes to the many different aspects of computer science was Computer Science 50 (CS50). Getting that glimpse of computer science, and having the chance to work on a hands-on project, really motivated me to delve deeper. What do you enjoy about computer science? I’m excited about the way we can use computer science to understand the world. Math and computer science are really all about the science of order. Taking massive amounts of data and analyzing it can seem very abstract to many people, but I like how open-ended the process is. Computer science provides insight into so many different things, so it is up to the individuals to determine how to use the information. You put your computer science training to use recently as a teaching fellow for Introduction to the Theory of Computation (CS121) taught by Harry R. Lewis, Gordon McKay Professor of Computer Science. How was that experience beneficial for you? I got to experience the other side of the academic world – instead of going to office hours, I was holding office hours, grading problem sets, and teaching sections. Teaching is a fantastic way to learn. I found that I had to have a very solid grasp on the material, so I was able to effectively translate it to others. Being adequately prepared was a lot of extra work, but helping my peers learn and succeed was definitely very rewarding. 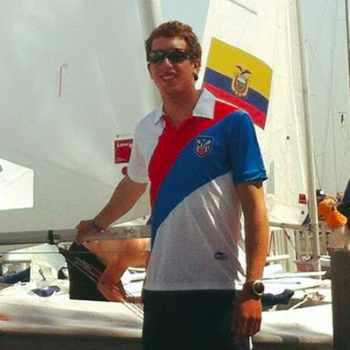 Speaking of work, you spent some time in January training to qualify for the Puerto Rican Olympic sailing team. What are some of the biggest challenges of the sport? One of the biggest challenges of sailing is how mentally demanding the sport can be. When you’re on the water, you have to be sure that you are always in the right state of mind and are ready to make smart decisions instantly. You can’t be intimidated or afraid to compete with the best. You must not be easily intimidated, since you’ve collected quite a number of sailing accolades on the team at Harvard, including the New England Singlehanded Trophy last fall. What contributes to your success on the water? In addition to being physically fit and dedicated to a rigorous training regimen, my math and computer science training has also helped me to succeed. Computer science and sailing aren’t so different. In fact, sailing is almost like playing chess on the water, with a lot of tactics and decision-making. You need to be able to process large amount of information and arrive at good decisions in a short amount of time, which are the same skills I’ve strengthened through my computer science training. What is it like to compete at an Olympic level? 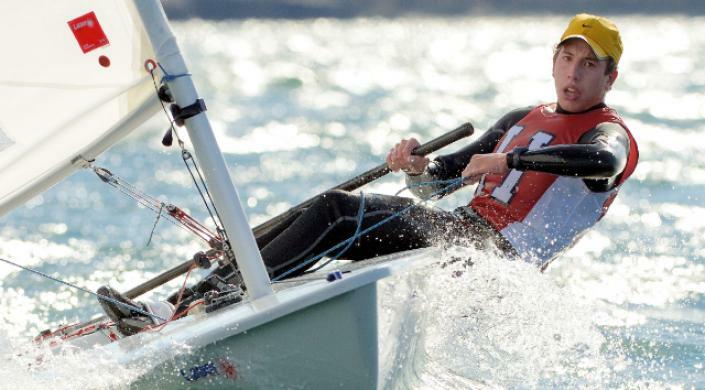 In many ways, training for the Olympics is totally different than sailing on the team at Harvard. Everything at the Olympic level is taken to extremes. You have to dedicate your full attention to every single move you make, because everything will be carefully scrutinized. Even though I didn’t qualify for the Puerto Rican Olympic team, competing at the World Cup event in Miami was a good experience for me because I was able to go out and give it my best against the top sailors in the world. It was rewarding to step out of my comfort zone to compete at the highest levels of the sport. You say you feel at home on the water. Do you also feel at home here SEAS? SEAS has been a really good fit for me because the more intimate environment allows you to really get to know your professors. There’s a lot of one-on-one interaction, which really helps to make education more personable and makes it easier to engage with the material. One of the things I like most about Harvard, and SEAS, is that I am empowered to make my own path. Fun fact: Sailing isn’t the only water sport Perdomo enjoys—in his native Puerto Rico, he can often be found surfing or kite surfing.